Last week, I was at camp. I took The Battle of the Red Hot Pepper Weenies with me for rest time. This book is another book of short stories all sorts of crazy things. In one story, two contestants, one from Mexico and one from Texas, battle to see who can bring the hottest pepper. In another story, one kid never gets mad. He always seems like he is about to, but then he swallows it. Will he ever get mad and what happens if he does? In a third story, a kid wants to join a club but, to join, he has to spend the night in an old department store. When he is there, the lights flicker and he hears something moving. What is it??? There's lots more stories like these too. I really like this book because I like reading the short stories that are really funny. When you go somewhere, you don't have to finish an entire chapter. Each story is only a few pages long so you can finish the story quickly. I also like these books because some of the what you think might happen doesn't happen, really crazy things happen instead. 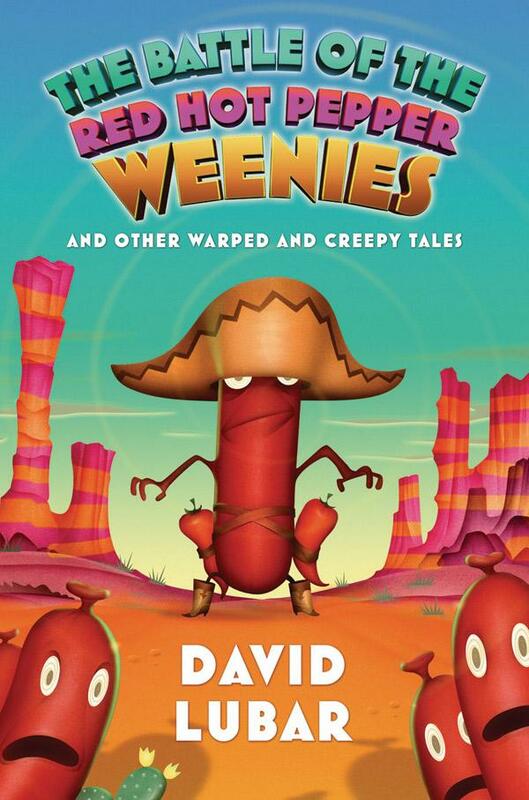 Check out my review of Wipeout of the Wireless Weenies, another book from the series.